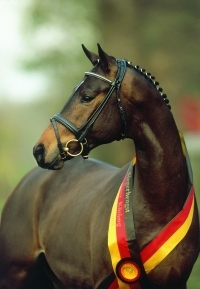 Trakehner Licensing Champion in Germany and Proven Dressage Competitor & Sire. If I buy a Stallion Profile on your website, how long does it stay live? A Stallion Profile is active for one year from the date it is "approved" and goes live. After one year your Stallion Profile will need to be renewed, but even if it expires it is not deleted. It's always easy to update and reactivate your Stallion Profile even after it expires. How many people see your Stallion Profiles? As the heart of WarmbloodStallionsNA.com, our Stallion Profiles are the reason most mare owners visit our site. We track the views each Stallion Profile receives, and that information is available to each stallion owner in the My Account area. It's different for each stallion, but the numbers range from hundreds of views per year to thousands. What does a Stallion Profile include? Lots! Besides all the basic stats and info, you can upload four stallion photos and four offspring photos, pedigree, video that plays right on the page, and there's plenty of room for description - plus a contact form built right into the page! How do I create a Stallion Profile ad? Start the process by clicking here to visit our Advertising Info page. Choose the category that best fits your needs and click for all the details and to purchase your ad package. You will then be able to create your Stallion Profile by filling out a form with all your stallion's info. It's easy to create your Stallion Profile right on the website! 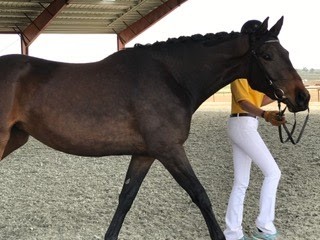 If I get a web banner on WarmbloodStallionsNA.com, can people click it to get to my website? Yes. We offer three sizes of web banners that link to whatever URL you submit. You can have us link the banner to the front page of your website, a different page (such as your stallion's page, or a page about a specific event or promotion). We can also have your banner click through to your Stallion Profile on this website, or your Facebook page. Please visit our Advertising Info page for more about what we offer, or click here to find banner rates and to purchase banner advertising. What ad options are available on WarmbloodStallionsNA.com for stallions or other businesses? We offer packages tailored for stallions owners, farm owners, and other businesses. Stallion packages center on a Stallion Profile ad, and business advertising starts with a web banner like the ones to your left. All our ads are packages that leverage our three-way network to promote your stallion or business. Please visit our Advertising Info page for a description of our three-way platform for promotions. Why did you stop printing the magazine? It was not an easy decision. Please visit the page About the Print Magazine. Do you accept ads from businesses other than stallions? Yes. 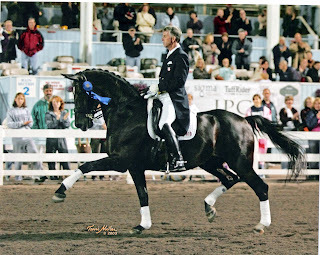 We recommend advertising if you have any business that could benefit from reaching an audience of North American breeding farms and other active sport horse enthusiasts. Such business would include trainers, veterinary services and supplies, feed and supplements, barn and stable supplies, and more. Visit our Advertising Info page for an overview, then click on Ad Packages for a Farm or Other Business. How can I get the best ad price? Do you offer discounts? Our prices are crafted to offer something for every budget, and to give breaks to farms with multiple stallions. Any special offers will be promoted through our Facebook page and our email Newsletter. Click here to like us on Facebook. Email newsletters are sent to all registered users of this site - click here for more information. If you have any questions that aren't addressed here, please contact us!